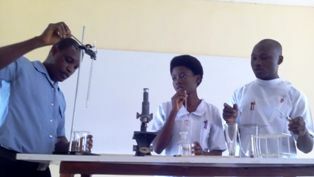 To prepare Christian young men and women as beginning professionals in the field of nursing, students who complete the three (3) years course are prepared to sit the Final Examination of the Nursing and Midwifery Council of Nigeria and upon their success in this examination are eligible for registration as qualified Nurses. To acquire attitudes, interestm knowledge and appreciation that will facilitate progress toward the optimum potential for spiritual, mental and emotional growth. Students, to be adequately equipped for Ophthalmic, Ear, Nose and Throat (ENT) and psychiatric Experience through thir posting to University College Hospital (UCH) Ibadan and Neuro-Psychiatric Hospital, Aro, Abeokuta respectively. Exposure to better community clinical experience both within and outside Ogbomoso environment. The first set of Students of the School of Nursing entered in October, 1981 and today God has graciously helped the school to produce well qualified, competent and proficient Nurses working in all works of life.